My name is SEV and I’m from the East Rand in Johannesburg. I’m an anthropologist. I’m a feminine woman. Describing myself is harder than I could have imagined. I enjoy the arts, travelling and most creative activities. I’m an avid gardener, a fair cook, and a sportswoman practicing kung fu, pilates and yoga. I’m a novice guitar and voice student. My repertoire includes DIY projects and I’m a hair enthusiast. I have been natural for seven years. It was a decision ushered in by motherhood. That emerged from a self-interrogating evaluation of how I wanted to raise my daughter. I wanted my child to be confident regardless of her looks and to evaluate herself and others based on the internal person. However, I do have a parallel aesthetic drive that I view as an add-on to the essence of who I am. As a child, right before my straightener was due, the coils at my roots were fascinating. I often wished my whole head could be covered in long coils. I admired images of women with this very different texture. But I had no idea where to begin. Also, the rhetoric around natural hair was taboo. It was simply considered sub-standard and information was thus hard to access. My hair has a few different curl patterns. At the nape of my neck up to my crown I have neat cork screw curls. The mid-section has zigzag shapes and the front has some less neat patterns. The top of my head and particularly the parts I wear out tend to get more sun damaged resulting in less perfect curl shapes. That along with frequent styling leaves the front of my head with less defined curls. I am also guilty of heat offence. However, I find that a quarterly or six monthly blow wave to be a necessary break from my afro. Although it damages / stretches my curl pattern it keeps my other more permanent harmful urges (colouring and chemical straightening) in check. I am a crafter and my hair is one of the ways I express this skill. I am easily bored with the same look and am constantly trying out new looks. My regime comes from having spent so many years trying to understand my hair. I try to keep my maintenance routine very simple. In general I wash my hair once a week unless I need to change the current shape of it. I use Wen cleansing conditioner followed by a detangling conditioner and then a leave-in. I deep condition once a week and I diligently add my own oil potions along with a curl cream to ensure my hair stays moisturized. Products – I’m intensely aware of the play between product marketing and reality. I scrutinise product labels to ensure that they do not cause any harm. When unsure I check a product directory such as the one provided by Terry La Flesh on tightlycurly.com. I use shampoo with caution when necessary and only apply it to my scalp. I enjoy DIY treatments and figuring out what in them works for my hair and what doesn’t. My kitchen often looks like a lab with concoctions all over the place. Process – Patience when detangling / combing using a head massager instead of a comb has proved less painful and less damaging. Air-drying my hair when I plan to wear it curly. Replacing my towel with an old t-shirt to soak up excess water. I made a sudden shift from long perfectly manicured tresses to a TWA. The change was a shock to my inner circle. Some were vocal about what they perceived as my dissidence to my feminine identity. Also, cultural heritage and pride meant that well taught girls do socially acceptable things and cutting off one’s crown was a big side-step. 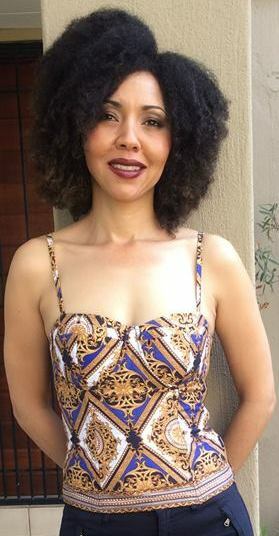 However, with time I discovered many new ways of caring for and styling my natural hair, eventually receiving some unexpected approvals. A big bun or updo. Mid-length curly hair updos are quite simple. A few pins can work wonders for a ‘not today’ hair day. The easiest thing I find is to pick a few looks from a resource like YouTube. I practice in my spare time so that the next time I need to pull a rabbit out of a hat it just appears. This is my second natural run. In round one I became bored after four years and started dyeing my hair. I paid a dear price when I had to go back to a TWA. The various hair colours wreaked havoc on my hard earned length. This time with some hindsight I know more of what not to do. That ultimately is what my hair journey is about, its constant discovery, potential, boundaries and what its eventual full length will be. I have no idea how long it can get but I hope to find out. The longest I have seen it was beyond my bra strap. My current goal is for my coils to reach elbow length. Assuming a 15 cm per year growth I am about three years away from this point. “Try it, try it and you may. Try it and you may I say” – Dr Seuss’ Green Eggs and Ham. The level of difficulty or ease really depends on the individual. If you are like me and have a need for perfection and perfectly manicured hairdos then you will experience various challenges. Make peace with your hair and accept it for what it is and learn what it can do. Understand that anything in life can be learned and that no knowledge is beyond anyone with access to information. Invest some time in learning and you will enjoy the natural hair experience. I have several friends with natural hair who are not as pedantic about how their hair looks. They are at peace with whatever their hair decides to do. If you are this person then you will be happy indeed. Hair is a craft and if you spend the time on it you will discover a wealth of information. 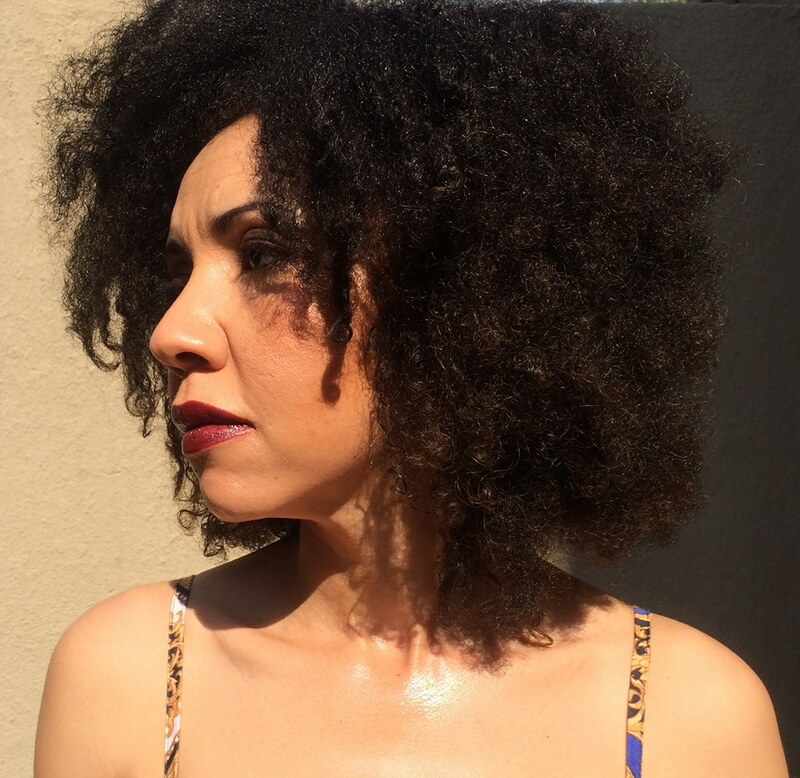 Natural hair has both its challenges and rewards. Being natural has taken me through a wide range of emotions from utter satisfaction at my own confidence to feeling insane. When I buried my processed hair I gave away the quick and easy cover of who I was. I was suddenly exposed. Often on the receiving end of criticism for how I looked. I had to justify this choice. I had to find a way to fit this new hair into my life. Daily rigorous physical training proved a real challenge. I eventually decided to leave it be till it was long enough to just use a ponytail to deal with the immense mushroom head. I accept that my hair won’t always be perfect and that is just what it is. Do you have a favourite life lesson? If so, please share it with us? “Be who you are and say what you feel because those who mind don’t matter and those who matter don’t mind” – Dr. Seuss. Really loved reading this post. I share Sev’s reasoning for making that big chop. We need to keep empowering our girls and they will eventually become strong, independent women.